The Japanese carmaker had admitted manipulating fuel consumption data for more than half a million vehicles. In a reputational crisis, grovelling doesn’t always cut it. Just ask Tetsuro Aikawa, whose position as Mitsubishi president became untenable following last month’s bombshell that it had manipulated test data for 625,000 cars to clean up their fuel consumption figures. He immediately offered ‘our deepest apology’ at a press conference, bowing low before the waiting media and said, ‘We will get to the bottom of why this misconduct was carried out.’ Whatever he’s done since then - or indeed, whatever has been found out - hasn’t been enough to save his skin. Exec vice president Ryugo Nakao is also leaving his position in June. There are some comparisons to be made, but Mitsubishi’s crisis is rather different to that of Volkswagen. In this case it’s all about fuel consumption specifically, rather than the nature of emissions. Better news for environmental regulators, but likely to go down like a lead balloon with the public. The average person is less concerned with the green agenda and more with how much they’re paying for petrol - and won’t be pleased to learn they could be paying more than they ought to be. In the wake of Mitsubishi’s cheating revelation, its share price tanked by more than 50%, prompting fellow carmaker Nissan to step in and take a controlling stake in the company. So it's fair to say the market is pretty sensitive to such news at the moment. This doesn’t bode well for Japanese car maker Suzuki, which has also just announced it’s found ‘discrepancies’ in its fuel and emissions testing. It has denied cheating, but that’s unlikely to reassure investors watching one potential scandal unfold after another and it’s not the news chairman and CEO Osamu Suzuki would have wanted. The decisive action taken at Mitsubishi reflects just how serious a reputational concern these fuel scandals are for the auto industry. Trying to move quickly to remedy any wrongs is sensible. 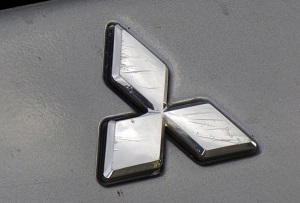 But considering prosecutors are now investigating improper testing that Mitsubishi said goes back as far as 1991, there could be more unpalatable revelations yet to come.